‪Tim Langille:‪ I’m going to both of the Religion, Holocaust, Genocide sessions, but am especially looking forward to a Monday session on the centenary of the Armenian Genocide. On Saturday, the Native Traditions in Americas is focusing on the Trail of Tears. ‪Adam Miller: If I can make it, I’d like to attend NAASR’s “Theory in the Time of Excess: Of Cognitive Science, Bricolage, and Brandom.” Otherwise, it looks like the NAASR reception may be the only thing set in stone for Friday. Saturday is a little more fleshed out. ‪Zoe Anthony: Looking forward to the philosophy of religion sections at the AAR this year. 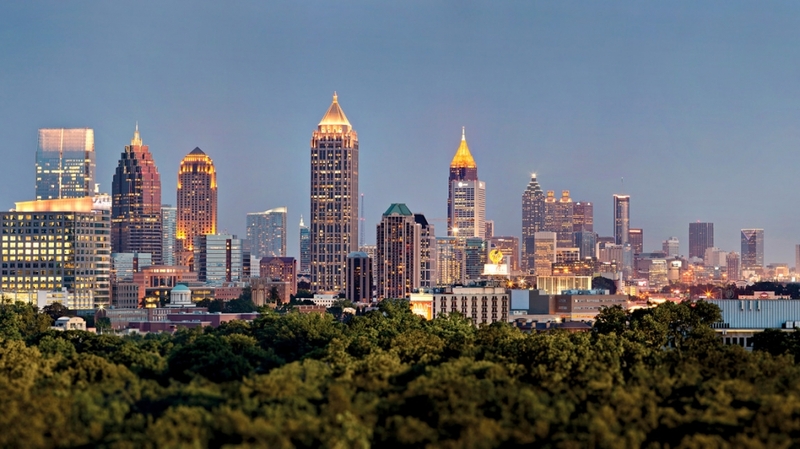 Shockingly, I won’t be at any NAASR events, except the reception on Friday, after I land in Atlanta that same day. ‪Sher Afgan Tareen: I’m presenting a paper that will show a spatial analysis of Islamophobia in Cook county Illinois by focusing on problems related to zoning restrictions on mosque constructions with the broader aim to reveal the disjuncture between national rhetoric on Islamophobia and on the ground negotiations between Muslims and non-Muslims. Apart from that I am interested in attending the panel on celebrities and religion, plus the free food and meeting smart people. ‪Friday’s NAASR panel as a respondent to Jason Blum’s paper; Saturday afternoon on the Religion, Postcolonialism and Colonialism panel with a paper about 4th-century politics on pilgrimage and “orthodoxy”; and a Sunday panel on Critical Approaches to Hip-Hop and Religion Group and Religion, Film, and Visual Culture Group with a paper co-authored by Adam about Janelle Monae and Death Grips and their differing views on the future. ‪I look forward to the NAASR panels that include respondents to each of the three other papers, and I hope to support my fellow FSU grads by attending their presentations. ‪Andrew Durdin:‪ I’ll be attending some of the NAASR panels and participating in their workshop on Theory & Method in the Job Market on Sunday afternoon. ‪I’m also looking forward to attending the SBL Greco-Roman Religions group. On Saturday and Sunday they are doing sections on “Healing Cults in the Mediterranean World from the Late Hellenistic to Early Imperial Period,” “Redescribing Cult Formation in the Early Imperial Era: Discourse, Invention, Material Religion,” “New Approaches in Social Sciences and the Study of Ancient Religion,” and a book review panel on the new Cambridge Companion to Ancient Mediterranean Religions. Also the SBL Art and Religions of Antiquity group is doing a panel on “Art and magic” that looks promising. ‪Rebekka King: Obviously the NAASR panel is going to be exciting and I am looking forward to being one of the respondents. It is worth mentioning that the plan is to have a book come out of the papers and responses. I’m really excited about the two sessions that Critical Research on Religion is sponsoring: The Sociology of Religious Experience (Session A23-134) on Monday, November 23, 9:00am-11:30am; AND Cultural Warriors and Counterpublics: Re-Describing Identity in the Sociology of Religion (Session A24-129) on Tuesday, November 24, 10:30am-12:30pm. ‪This will be a slightly different AAR/SBL/etc. for me because Middle Tennessee State University has granted myself and my colleague Jenna Gray-Hildenbrand funding so that we can attend some pedagogy workshops and work on some grant-writing projects with colleagues in anticipation of developing our Religious Studies major at MTSU. So if anyone sees me feel free to interrupt whatever conversations I am having to help me dream big dreams about the major. I will be attending a couple of Wabash workshops including one on Thinking about Writing and Teaching on Sunday, November 24, 4:00pm-6:30pm. ‪The Religion, Memory, History Group has a great session, The Work of Material Memory: Nostalgia, (Dis-)Comfort, and Identity Construction in Religious Practice (A22-139) featuring an all-star cast of Katja Rakow, Alexandra Kaloyanides, Sean McCloud, David Walker, and Pamela Klassen. It will be worth getting out of bed early on Sunday morning for, Sunday, November 24, 9:00am – 11:30am. ‪I’m presenting a paper on my new research on the Prosperity movement with Jewish Affinity Christianity to the Anthropology of Religion group in a sessions titled Transnational Flows and Cultural Borrowing: Ethnographies of Influence (A23-317) on Monday, November 23, 4:00pm-6:30pm. I’m really excited about this session partially because it will be great to present my new work but mostly because the other papers in the session look smart and are linked in terms of theory rather than religion, so I think it will make for interesting discussion. Ellen Badone is responding. Stephanie Frank: In the wake of last week’s events in Paris and Beirut, Todd Green and I pulled together a panel discussing the role of the study of religion vis-à-vis responses to terrorist attacks; I am excited to hear what my colleagues have to say. Otherwise, I’m looking forward to the Philosophy of Religion section’s panel about description, prescription and value in the study of religion; the panel on the relation of continental philosophy to religious studies; and the exploratory session on political theology. I wish I could attend the panels on sacrifice and secularism and the future of debt—both of them look great. Anna Cwikla: I am presenting at the Maria, Mariamne, Miriam: Rediscovering the Marys panel at the SBL conference. My paper, “Magdalene, Mother, Martha’s Sister, or None of the Above? The Mary in the Dialogue of the Savior,” is based on my MA thesis, but includes more recent scholarship and a different conclusion. I’m looking forward to the Religious Competition in Late Antiquity panel on martyrdom. Last year I took a course on early Christian Martyrdom, which sparked my interest in this area. The variety of perspectives on martyrdom and the extent to which it became an integral and contested site of identity formation for different Christian groups made me realize that martyrdom was part a much larger conversation in early Christianity than I had previously thought. I will be attending the SORAAAD workshop. The theme this year is “Canon and the Analytical Study of Religion” and includes a paper by Karen King entitled “Ancient Author-Function in The Apocryphon of John and The Apocalypse of John.” Most discussions surrounding authorship in early Christianity seem to center around Paul and his letters. As someone who is interested in non-canonical texts such as the Nag Hammadi codices, I am excited for Karen’s paper. This will be my first time attending a workshop style presentation and I am looking forward to a more engaging type of atmosphere and participation compared to the traditional panel of papers setting. Robert A. Yelle: I am on a book panel Saturday on The Nay Science, by Adluri and Bagchee. I’m also on an annual How to Get Published panel by the editors of the AAR book series. Aaron Hughes will also be at that one. Jeffrey Wheatley: I am not presenting this year (*sigh of some regret, but also relief*). I am, however, presiding over “The Security of the State and the Regulation of Religion” (Saturday, 1pm). On Friday I am participating in the Law, Public Culture, and Religion workshop. I hope that it will be useful for thinking about how to talk about the affect and effect of law for people “on the ground,” so to speak–to help us get out of reifying law as simply code. At 4pm on Saturday the US Religion and Empire Group has their panel: “Conceptualizing American Empire: Theoretical and Methodological Approaches.” Americanists are more and more asking how we conceptualize the United States at a basic level, and what our scholarly purview should be (regional, national, transnational, global, and so on). Do we study the US as a nation-state, a culture, an empire, a nation with an imperial history? What’s at stake in these distinctions or in how we relate them to one another? Joseph Blankholm: Heading into this year’s conference in Atlanta, there a few panels I’m really looking forward to. At the top of my list is a panel I helped organize, entitled “Future Directions in the Study of the Secular.” It brings together four junior and recently tenured professors who will present on their research and offer some insight into the kinds of work on the secular we can expect to see in the coming years. Saba Mahmood will respond to the papers, which will be given by Mayanthi Fernando (UC-Santa Cruz), Finbarr Curtis (Georgia Southern), Devin Singh (Dartmouth), and Noreen Khawaja (Yale). My opening remarks will be brief and point to some trajectories not represented on the panel. Those interested in contributing to what these future directions might be are welcome to attend the business meeting of the Secularism and Secularity group, which will take place immediately following the panel. As co-chairs of the program unit, Jonathan VanAntwerpen and I would love to hear your input. I’m also looking forward to two panels on economics and money, including a panel on the economics of secularism and an exploratory session that will hopefully inaugurate a program unit on religion and economy at the AAR. If you’re at all interested in seeing more work in this area at the annual conference, I strongly encourage you to attend the session and to write a letter in support of the unit. Letters should be sent to annualmeeting@aarweb.org by December 1st. Two more panels that I plan to attend include one on healing, secularism, and spirituality, and another which will offer critical perspectives on the cognitive science of religion. Both look excellent, and I’m looking forward to the good discussions that I’m sure will follow. This entry was posted in Announcements, Religion and Theory, Scholarship on the Road, Theory and Method, Uncategorized and tagged Adam T. Miller, Andrew Durdin, Anna Cwikla, Dennis LoRusso, Jason Blum, Jeffrey Wheatley, Joseph Blankholm, Matt Sheedy, ‪Merinda Simmons, Rebekka King, Robert Yelle, Sher Afgan Tareen, Stephanie Frank, Tara Baldrick-Morrone, Tim Langille, ‪Zoe Anthony. Bookmark the permalink.